Richard Clark Kile, a lifelong resident of Chattanooga, passed away suddenly at his home Friday, September 21, 2018. He was 74 years old. He is survived by his wife, Susan Canada Kile, half sister Sandi Kile Stanley of Twin Falls, Idaho, half brother, John Russell Kile-Jeffres, daughter, Sharon Alicia Kile Pickering, son, Richard C. Kile, Jr. of Chattanooga, stepsons, Jon David Herring of Eden, UT, and Michael Bradford Herring, of Raleigh, NC, five grandchildren, many cousins and his beloved dog Charley. He was preceded in death by his mother, Ruth Evelyn Johnston Kile, and his grandparents, James Harle Johnston and Nora Belle Jones Johnston. Richard graduated from Tennessee Wesleyan College and was a member of the Wesleyan Chorale. He used his beautiful bass voice to praise God in several local church choirs. He was an electrical systems project sales manager for many years at Westinghouse. He was currently the managing partner of RCK Tax Consultants and former president of the Tennessee Chapter of the National Association of Tax Professionals. 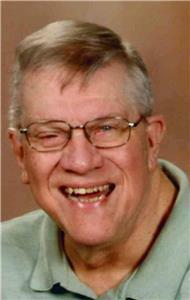 He was a member and former deacon of Rivermont Presbyterian Church. Richard grew up hanging around baseball fields and golf courses with his beloved grandfather, who taught him to play golf and bridge. He was an avid golfer and a member of three bridge clubs. He loved to watch the Tennessee Vols, the Atlanta Braves, and closely followed several golf pros. When he traveled he loved to stop for a meal at restaurants featured on his favorite show, Diners, Drive-ins and Dives, if there was one in the area. Funeral services will be conducted at 11 a.m. on Wednesday, Sept. 26, at Rivermont Presbyterian Church, at 3319 Hixson Pike. His family will receive friends from 10–11 a.m. on Wednesday, Sept. 26, at the church prior to the service. In lieu of flowers, memorial contributions can be sent to the American Diabetes Association or Rivermont Presbyterian Church. We invite you to send a message of condolence and view the Kile family guestbook at www.HamiltonFuneralOptions.com. Arrangements are by Hamilton Funeral Home and Cremation Services, 4506 Hixson Pike, Hixson. 423 531-3975.